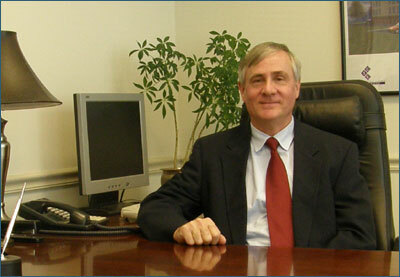 Mr. Rhoads started with the firm in 1994. He is a graduate of Virginia Tech with B.S. and M.B.A. degrees in Finance and is a member of the Board of Directors of the Pennsylvania Self-Storage Association, is a past member and Director of the Construction Financial Management Association and member of the Institute of Management Accountants. Prior to joining PFG Capital in 1994, he was Senior Vice President/Chief Information Officer with a regional mortgage banking firm. He has had five years experience in various finance and accounting departments at Armstrong World Industries, and six years experience in all facets of residential and commercial construction. Mr. Rhoads' role with PFG Capital has involved the oversight of accounting & tax strategy, the development of section 42 affordable housing apartments, and self storage site feasibility studies, acquisitions, marketing & operations. He has successfully lead the absorption and operations of 27 stabilized existing self storage facilities and the lease-up of 9 newly constructed/expanded self storage facilities. In his travels, Mr. Rhoads has literally “shopped” hundreds of self storage facilities throughout the U.S.